You can play regardless of the weather (indoors or outdoors) or skill level of guests. Perfect as a carnival game for schools or churches. Great for other events like company picnics, golf-theme parties and community gatherings. This option comes with 1 hole. Recommended for use on hard surfaces only. You can play regardless of the weather (indoors or outdoors) or skill level of guests. Perfect as a carnival game for schools or churches. 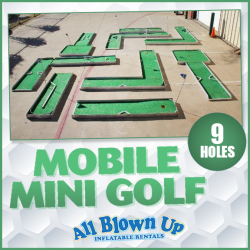 Great for other events like company picnics, golf-theme parties and community gatherings. This option comes with 3 holes. You can play regardless of the weather (indoors or outdoors) or skill level of guests. Perfect as a carnival game for schools or churches. 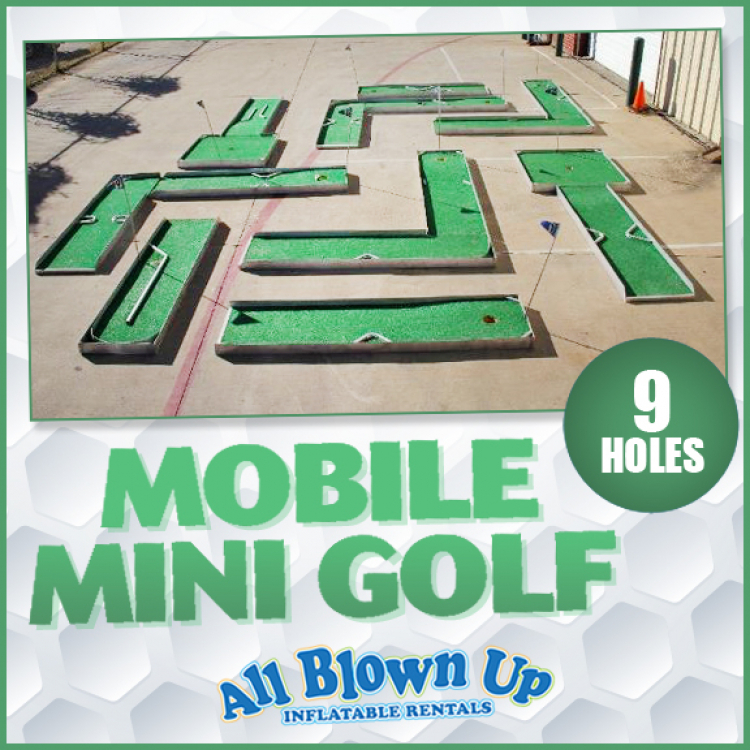 Great for other events like company picnics, golf-theme parties and community gatherings. This option comes with 6 holes. You can play regardless of the weather (indoors or outdoors) or skill level of guests. Perfect as a carnival game for schools or churches. 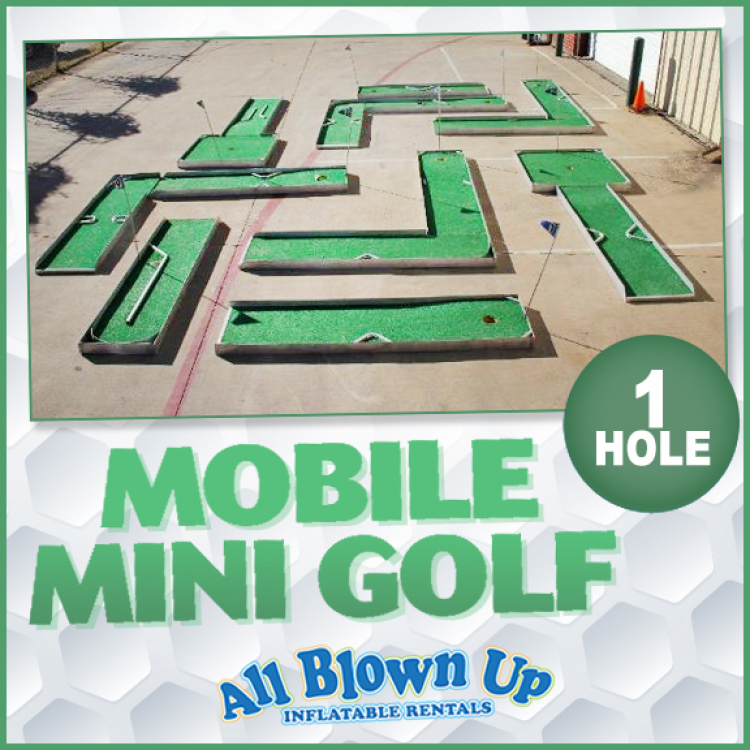 Great for other events like company picnics, golf-theme parties and community gatherings. This option comes with 9 holes.